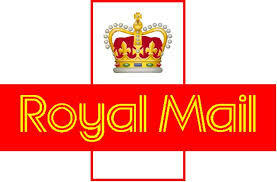 I am a massive fan of Royal Mail! It is one of the organisations from which I have received the best customer service over the years. However I have one or two issues with the current system. Unfortunately these are not only making me a little more disgruntled but I am sending less and less mail with every passing year. In the age of text messaging and emails it is sad that the humble letter is fast becoming a thing of the past. I miss paper and pen – slower than using ICT but in many ways more reliable, the decline of these simple items is in my mind one of the reasons that literacy in children is on the decline with increasing dependence on electronic devices rather than a more personal medium. I posted most of my Christmas cards over the weekend. I say most because I had to hold back 5 slightly larger letters. Despite having a book of stamps in my wallet I could not risk using them to post letters a fraction bigger than the majority of my mail in case they counted as large letters and as such needed a higher postage amount. Gone are the days when a first class stamp would be sufficient for the task and a trip to the post office was not required to mail a simple card or letter. Why not have set prices somewhere in the middle that cover any size of letter? I have actually used internet sites such as Funky Pigeon and Moon Pig rather than buy my own cards as that way I know I don’t need to worry about postage. While the personalised element of these sites does appeal to me, it does once again rob me of the joy of putting pen to paper myself. The second thing that irks me is the opening hours of the depots particularly at this time of year. With the increased number of parcels and packages – although in truth I am not sure what the difference is between the two – and the reason for non delivery being peoples need to be at work to pay for said items, it seems a tad unreasonable that the allocated slots in which you can pick up a parcel are during the traditional working day. For my husband and I, any delivery not made on a Saturday does not reach us, we get the irritating red card through the door and need to organise to pick it up at our local collection point. On a good day we can just squeeze in a trip en route to work but as the office closes at 1ish there is no hope of doing it in the late afternoon or early evening on our return journey. Royal mail you are sooooooo good! Don’t ruin it with these irritating flaws which are surely beneath you.